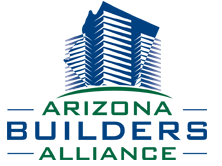 A collaboration with the City of Phoenix, construction companies, and education partners working together to provide individuals the ability to master a career in the construction industry. The demand for construction jobs in Maricopa County over the national average. Currently, there are not enough carpenters, plumbers, or electicians trained and ready to enter the industry. The Department of Labor anticiaptes nearly 7 million jobs will be available by 2024. Well paying jobs that do not require student dept and can be accessed with appreticeships, certifications, and two-year degree programs. The number of publically posted positions is about 757 jobs per month in Maricopa County. This does not include jobs needed but not posted through web based programs. Over 49% of the current industry is over the age of 45 with over 22.5% of the industry positioned to reture in the next few years. Given the strong economy leading to increased construction, the demand for well paying jobs will increase.